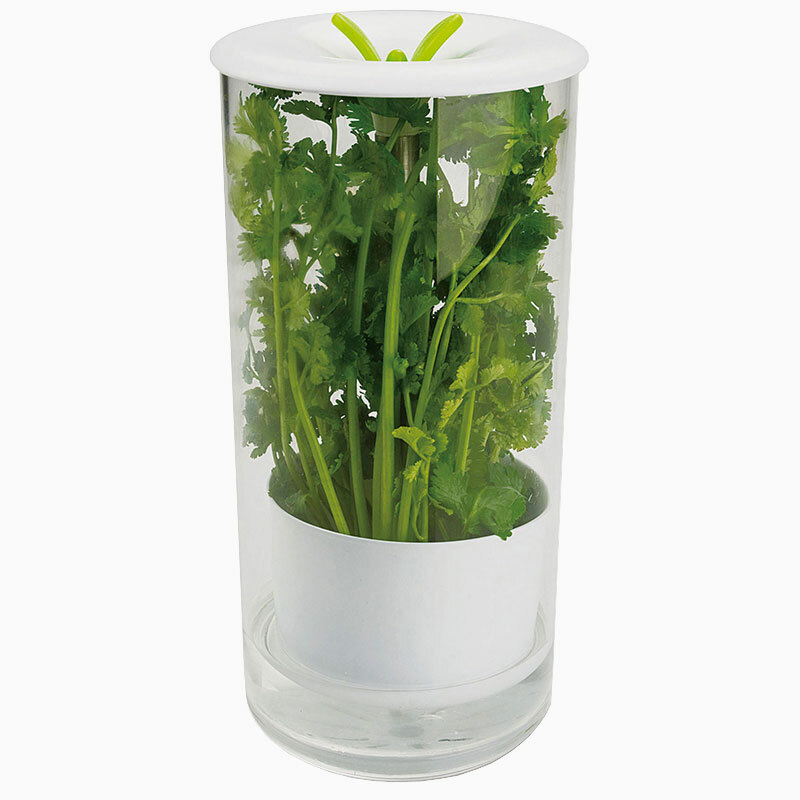 Clear and lightweight borosilicate glass to display herbs. Compact design will fit inside most refrigerator doors. 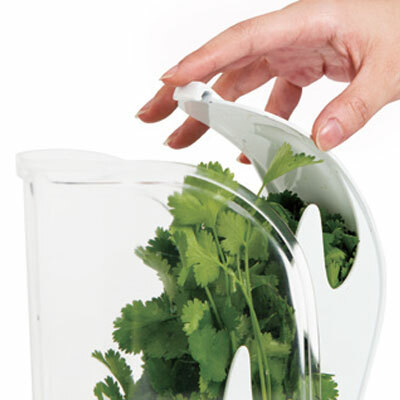 Keeps herbs fresh for up to 2 weeks. 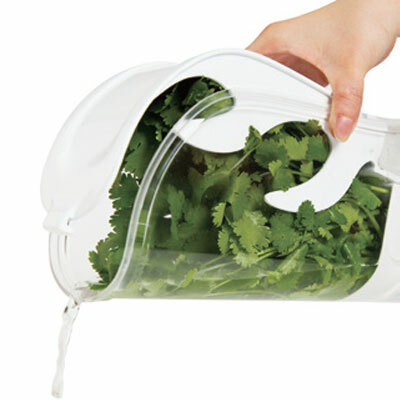 Easily add water through opening on the top. 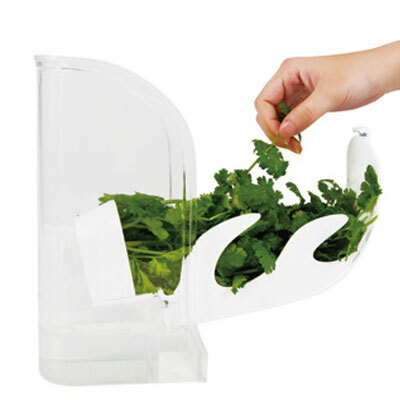 Pull up lid to access herbs.